I personally think it’s gonna be weird if Yuzuki is going to be an item with Kenshin. It’s literally like being your best friend’s dad’s girlfriend. And I personally think Kagekatsu and Yuzuki would look really adorable together! I think he’s more honest than he was last time! He’s becoming more and more of a person :’D (and a single man–). this is rare yet i am happy he says these words. 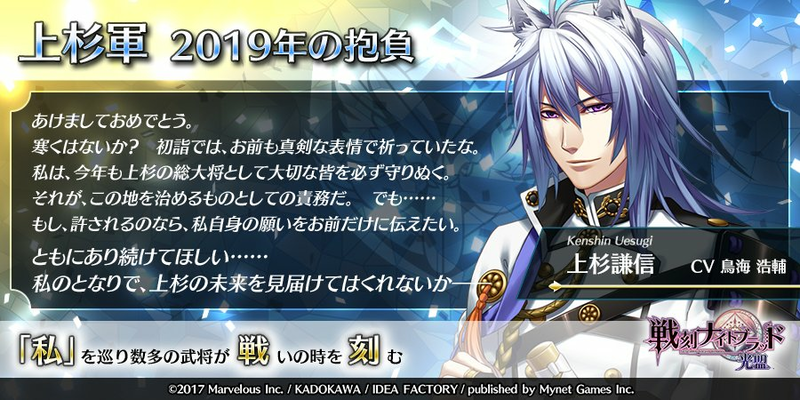 It’s always really touching when Kenshin drops his mantle as the Uesugi General and becomes just a humble man :’)) wanting the heroine.